Hemming the neckline felt too easy, like I was cheating. 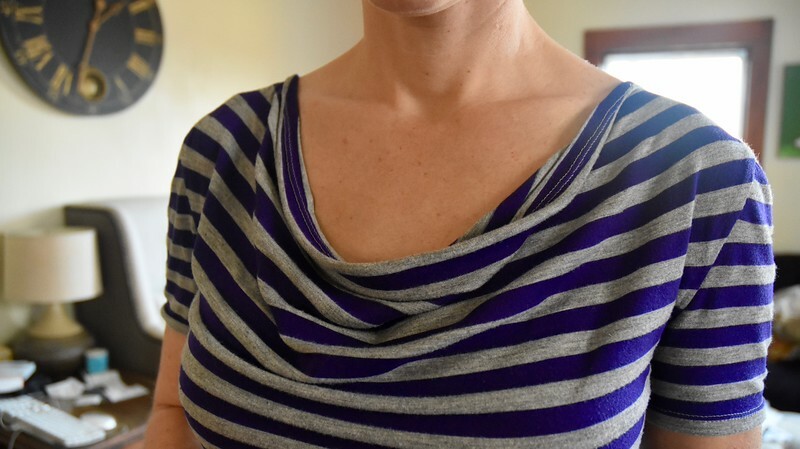 In fact, the dress I'm working on now (Colette Wren) uses the same method for the neckline and armholes. Strange technique, but so far it works OK. This striped knit cotton is from Stitchology in Albuquerque, N.M. I still have a little knit stashed from our trip there a year and a half ago.